Do you love dogs and also have a creative side? Perhaps a career in professional dog grooming could be for you! While indulging in your artistic side, you will also be at the forefront of a dog’s overall health and well-being. As a professional pet groomer, you can work towards opening your own salon, starting your own mobile grooming business, or work in an animal shelter, veterinary office, or possibly at our own Masterdog training location! Do you already have a job you love, but want to learn how to take care of your best friend? Our online course can benefit anyone who simply wants to learn more about a breed of dog they own, or have plans to own, and wants to make sure that they’ll be able to give their dog the love and care they’ll need. Our Master Dog online Dog Grooming course is a foundational course for beginners and aspiring dog grooming professionals. The chapters presented in the course is all the background you’ll need to understanding dogs, the AKC breeds, variations within the breeds, dog anatomy, care, feeding, vaccination, temperament and behavior, first aid, and much more. In addition, you’ll learn about the latest styling and products, tools, equipment, and general salon policies and procedures. You will learn how to accomplish a grooming task with each popular breed of dog, and the reasoning behind specific grooming policies regarding show dogs and pet dogs. 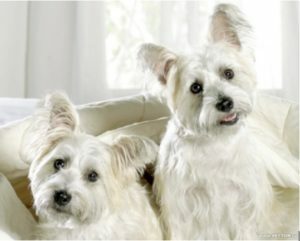 You’ll also learn the professional vocabulary and terminology that is unique to the dog grooming profession. Particularly, the technical and theoretical reasons behind cuts for each popular breed, and how to prepare a dog for the professional dog show circuit. Grooming course price – $399. Sign up for Dog Grooming Online Course Now – click here!